Here you will find all of our ‘Provcasts’ from this season. Episode 19: Providence College Associate Head Coach Andre LaFleur joins the show to discuss the 15-5 Friars as well as what he is focused on in recruiting for future seasons. Episode 16: In this episode, Kevin Farrahar, Craig Belhumeur and Craig Leighton discuss the Kentucky loss, the upcoming BC game and welcome several PC fans onto the show to discuss a variety of topics. Episode 15: ESPN College Basketball Analyst, Seth Greenberg, joins Craig Belhumeur to discuss the PC loss to Kentucky as well as several other topics including the confidence of Kris Dunn & LaDontae Henton and how PC can retain Ed Cooley when other schools begin calling. Episode 14: ESPN’s Jeff Goodman joins the show to discuss the 2014-15 Friars as well as the college basketball landscape in today’s era. Goodman also addresses the common assumption that he dislikes the Providence College basketball program. Episode 13: Craig Belhumeur was on hand for Big East Media Day at Madison Square Garden and this episode features interviews with commissioner Val Ackerman, Bill Raftery, Austin Croshere, Ed Cooley, Carson Desrosiers, Tyler Harris and Creighton Head Coach Greg McDermott. Episode 12: In this episode Kevin McNamara discusses what he has seen in practice and sheds light on many of the freshman who will wear the Friar uniform for the first time this year. Episode 11: Craig Belhumeur interviews Jalen Rose as he prepares to host Providence College’s Late Night Madness event on October 17th. Rose discusses his connection with PC legend Jimmy Walker and his friendship with current assistant coach, Mike Jackson. Episode 10: Kevin Farrahar and Craig Leighton on Providence recruiting during a crazy week in Friartown. Donovan Mitchell is off to Louisville, but Alex Owens and Javon Taylor are on the way. What 2016 center could pop for the Friars? Find out that and more here. Episode 9: After attending PC’s final practice before heading to Italy, CBS Sports College Basketball Insider Jon Rothstein joins Craig Belhumeur to discuss the 2014-15 Providence College Friars. 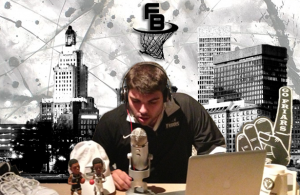 Episode 8: FriarBasketball.com’s Craig Leighton and Kevin Farrahar talk the latest in Providence basketball recruiting in this latest podcast.